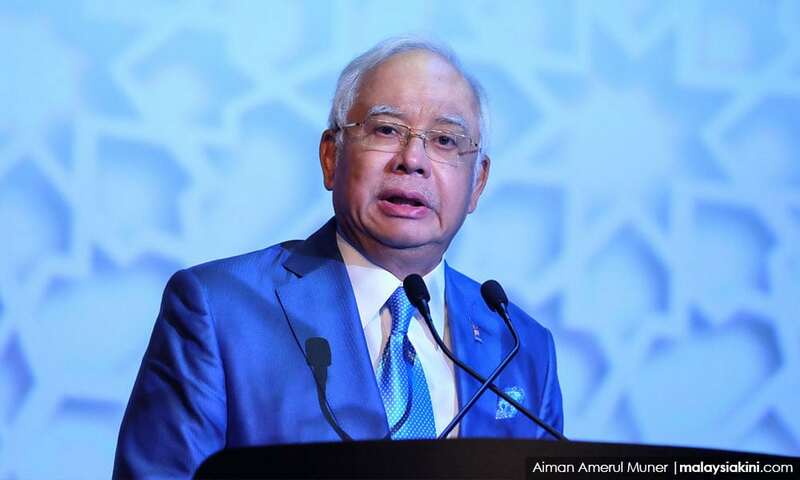 Prime Minister Datuk Seri Najib Tun Razak plans to allocate RM1 billion for the Halal Development Fund, in a bid to stimulate the halal industry to become the growth driver of Malaysia’s economy. He added the funds can be used by Bumiputera entrepreneurs, who play a key role in driving the halal industry. The allocation of funds was among the promises listed in Barisan Nasional’s Manifesto for the 14th General Election, themed “With BN, For A Greater Nation”. This news comes as Malaysia was ranked by the Mastercard-CrescentRating Global Muslim Travel Index 2018 (GMTI) as the top destination for the global Muslim travel market among Organisation of Islamic Cooperation (OIC) destinations. The ranking, which covers 130 destinations including Singapore, Hong Kong and the Philippines, gave Malaysia a score of 80.6 out of 100. United Arab Emirates and Indonesia tied for second place, each with a score of 72.8. The GMTI 2018, officially launched in Jakarta, confirmed the Muslim travel market is on course to continue its fast-paced growth to reach US$220 billion in 2020. It is expected to grow a further US$80 billion to hit US$300 billion by 2026. Safdar Khan, division president, Indonesia, Malaysia and Brunei, Mastercard said Indonesia continues to strengthen its position as one of the top halal destinations. This was a result of the support from the Indonesian Ministry of Tourism through the overseas promotion of its “Wonderful Indonesia” campaign, as well as improving the tourism infrastructure and landscape of Indonesia, he said. Meanwhile, Singapore scored the highest (66.2) among non-OIC destinations, followed by Thailand (56.1), the UK (53.8), Japan (51.4) and Taiwan (49.6). In 2017, there were an estimated 131 million Muslim visitor arrivals globally – up from 121 million in 2016 – and this is forecasted to grow to 156 million visitors by 2020 representing 10 percent of the travel segment. According to the ranking, there are seven key drivers that will continue to shape the rapid growth of the global halal travel market – growing Muslim population; growing middle class/disposable income; younger population; increasing access to travel information; increasing availability of Muslim-friendly travel services and facilities; Ramadan travel and business travel. The ranking noted that the Muslim middle class continues to rise in destinations with large Muslim populations, such as Malaysia, Indonesia and the Gulf countries. Other developments such as the growing class of skilled Muslim professionals from North America and Western Europe, as well as the increase of urban female Muslims worldwide, will lead to stronger economic impact from the large Muslim consumer base. Fazal Bahardeen, CEO of CrescentRating and HalalTrip, said the impact of investment and commitment by destinations globally into the Muslim travel market is reaping rewards. “The concerted efforts of destinations such as Indonesia, Singapore, Japan and Taiwan using data and insights from the previous GMTI reports have to be commended as they are now closing the gap,” he said. He added that the index criteria was revamped to better reflect the growth strategies implemented by destinations to welcome Muslim travellers, resulting in positive changes in ranking across the index. Mastercard’s Khan said the fast growing Muslim travel segment is an opportunity in plain sight but in order to benefit from it, it is crucial to understand the needs and preferences of Muslim travelers and how to adapt and tailor products and services for them. “We believe that the GMTI provides real value to businesses and governments looking to tap into this important and growing market segment and hope that this effort will continue to drive halal tourism,” he added. GMTI helps destinations, travel services and investors track the health and growth of this travel segment while benchmarking their individual progress in reaching out to the Muslim traveler. All 130 destinations in the GMTI2018 have been scored against a backdrop of criteria with some new metrics added for this year’s research including the CrescentRating Growth-Innovation Model. Key metric criteria included access which includes infrastructure; communications and looking at how destinations market themselves to a target audience; environment and services. Each criterion is then weighted to make up the overall index score.